Well, we are extremely excited to announce that Sibonelo Dance Project will be heading off to the Grahamstown Festival to perform our full length production of Abangabonwa (The Unseen) on the fringe. 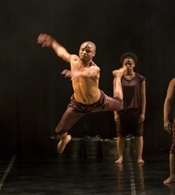 The dancers are busy at work creating the piece and will head off to Grahamstown on 2 July. The performances will take place between 4 and 10 July at the Centenary Hall in Grahamstown. If you are at the festival, please come and support us! !